Are you from one of those looking for a mobile device? But not yet decided for the brand name and still confused? If yes then go straight and take a decision of purchasing BlackBerry mobile phone. BlackBerry Contract phones have emerged as one of the best mobile phones for professionals as well as entertainers. As this is one of the only brands with so many exciting gadgets of new technologies. Hey, if you are ready to enter the new world of BlackBerry mobile phones but might be wondering from where to start then just chill don’t get worried? Mobilesemporium.co.uk is here to solve out all your queries with offering so many exciting BlackBerry mobile deals. Whether you are taking your first BlackBerry mobile device or in a mood to upgrade your old device then through us, you can choose the right phone at right price. 1. BlackBerry 9700 Black: The gadget with unlimited number of features. This BlackBerry device has not only proved itself as one of the best professional handset but also best entertainment phone. Being a favourite handset of huge number of technology lovers, this QWERTY keypad mobile device keeps you always tuned with 2G and 3G network connectivity. Although it runs on BlackBerry OS v5.0, upgradable to v6.0 but the handset use 624 MHz as a processor. 2. 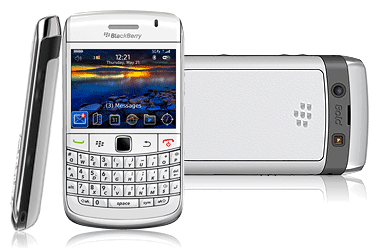 BlackBerry 9700 White: It is very rare to get your favourite handsets in White colour. But it is possible with BlackBerry 9700 White. This cool gizmo comes packed with all impressive features and a lot of multimedia features too. With 3.15 mega pixel camera, you can click the nice pictures and also record videos with very high quality. Additional features include BlackBerry maps, Document editor (Word, Excel, PowerPoint, and PDF), Media player, Video player, Organizer etc. 3. BlackBerry Curve 8520: The impressive thing about BlackBerry Curve 8520 range is wireless network by which you can get online through your home wireless device. With this you can check email, stream videos and music or even make phone calls. Another most exciting thing is that, the user can pick their choice of colour device from several vibrant colours. 4. 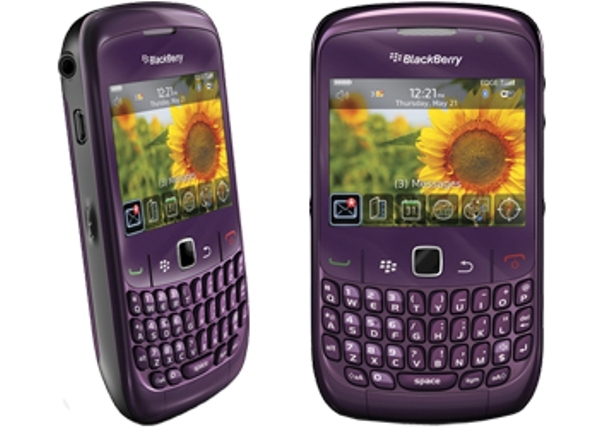 BlackBerry Curve 8520 purple: If you are planning for taking BlackBerry Curve 8520 then go for just only purple colour. As it is very rare to get a mobile phone in this trendy and hot colour. Other features like fast internet connectivity and Wi-Fi spot are some of the catchy features which make it so special and first choice of all. 5. Blackberry Bold Touch 9900: Being listed in the RIM’s higher-end handsets, particularly this handset is a best choice for professionals. When it comes to the display, the resolution has gone up to 640 x 480 with crystal clear quality of pictures. The touchscreen allows you to perform all functions at a fast speed and its more advanced BlackBerry OS 7 allows it to perform at a better. Powering all this is a 1.2GHz processor and other features include BlackBerry Maps, Organizer, Music Player and many more. 6. BlackBerry Pearl 9105: Being available in the stunning design and measurement size of 108 x 50 x 13.3 mm, this gadget weighs just 93.6 gram. The mobile phone is really magnificent as it can match to your accessories with the availability in different colour schemes like Piano Black, Opal Pink, Royal Purple, Flash White and Red Gradient. For music, it has music player and document viewer to view the official documents. 7. 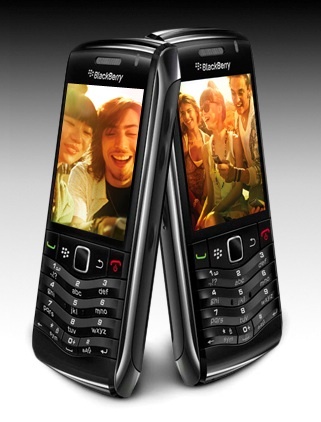 BlackBerry Curve 9300 3G: The best device with 3G network availability is one of the qualities of this cool gadget. Boasting a TFT display of 2.46 inches, this gizmo can perform at a resolution size of 320 x 240 pixels. Running on the BlackBerry OS v5.0, upgradable to v6.0 operating system and comes with various communication ways such as text messages, MMS, Email, Push Email and Instant Messages. 8. Blackberry 9800 Torch: Maximised multimedia, enhanced music player, integrated social feeds are the features which makes it so special. With 8GB of internal memory, 5 mega pixel camera and 3G network support, makes this smartphone better than the best. 9. 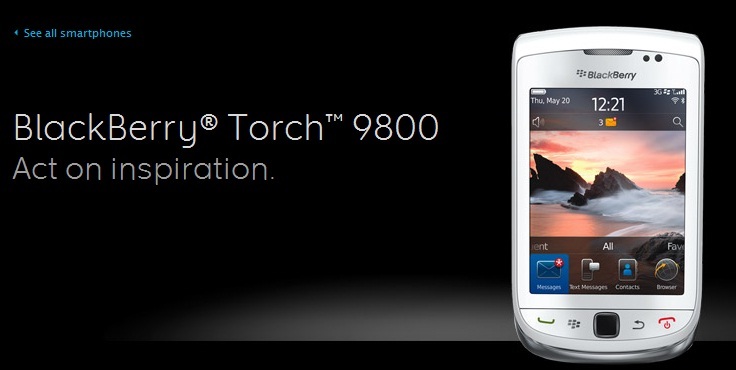 BlackBerry Torch 9800 Red: For a faster and richer browsing experience, just pick the latest BlackBerry Torch 9800 Red. The more captivating red colour adds more charm to its beauty. When it comes to display, it is accompanied by TFT capacitive touchscreen of 3.2 inches which can display around16M colours. 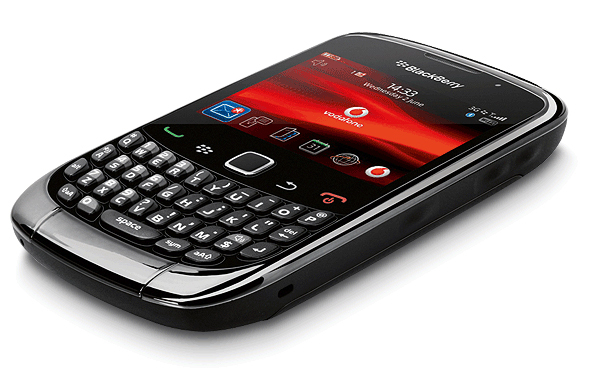 It use BlackBerry OS 6.0 operating system and has 624 MHz processor. 10. 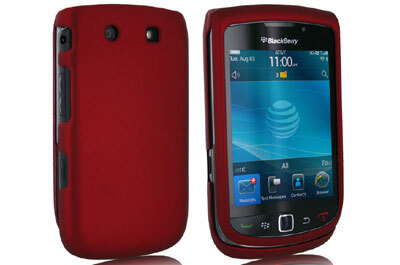 BlackBerry Curve 3G 9300 : Go red with the new BlackBerry Curve 3G 9300 Red. This newly launched device can fulfil all your multimedia as well as professional needs with so many impressive features.